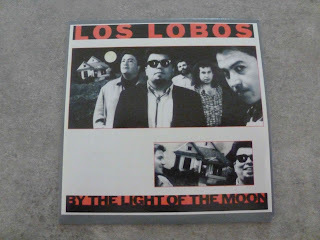 If you want to be pedantic it’s actually their fifth recording but (and it’s roughly contemporaneous with the La Bamba soundtrack) but it’s difficult to avoid the suspicion that we’re bordering on the old difficult third album syndrome hereabouts, but there’s a bit more to it than that. After the quantum leap from ...And a Time to Dance to How Will the Wolf Survive there’s an inevitable question of where next, and the answer mightn’t sit too comfortably with those who’d like a repeat of last time, thank you very much. Things certainly kick off in familiar territory with One Time One Night, but a listen to the lyrics reveal a darker undercurrent running beneath an age-old song about the home of the brave/In this land here of the free and the difference between rhetoric and reality. That’s my reading, anyway, as Hidalgo and Perez take a look at the landscape, don’t particularly like what they see but mask the disappointment behind a lively slice of roots rock. T-Bone Burnett and Cesar Rosas share the writing credit on the gritty Shakin' Shakin' Shakes, which bops along quite merrily, and makes a pleasant contrast to what’s happening on either side of it. Hidalgo and Pérez are back in the spotlight for Is This All There Is? directing their scrutiny towards a supposed promised land that fails to deliver and leaves tired souls with empty hands asking whether there’s anything around that doesn’t constitute disappointment. Cesar Rosas steps up to the microphone for the traditional Prenda Del Alma, a heartfelt romantic ballad with Hidalgo’s accordion swirling away in the background. While on the surface All I Wanted To Do Was Dance comes across as smoky R&B there’s a touch of social commentary under the surface, and Rosas, whose assigned writing role seems to involve supplying the hopping and bopping antidote to the darker Hidalgo/Pérez material, is back with Set Me Free (Rosa Lee) which rocks along just fine. The social realism’s back to the fore, as you’d guess from the title, in The Hardest Time, a portrait of loneliness and domestic despair, a topic you might have thought was being explored further in My Baby's Gone, but it’s Cesar Rosas with a Chicago blues before the trio of Hidalgo/Pérez compositions that wind things up and present what looks awfully like a statement of the Los Lobos world view. If you take the first of them, River of Fools at face value, there’s nothing on Earth that’s going to save you from the evils and general meanness that surrounds you, particularly, I guess, if you’re Hispanic and operating on the margins of The Mess We're In. We’re in it and there’s not much chance of getting out of it in this life, the Tears of God will show you the way/The way to turn. 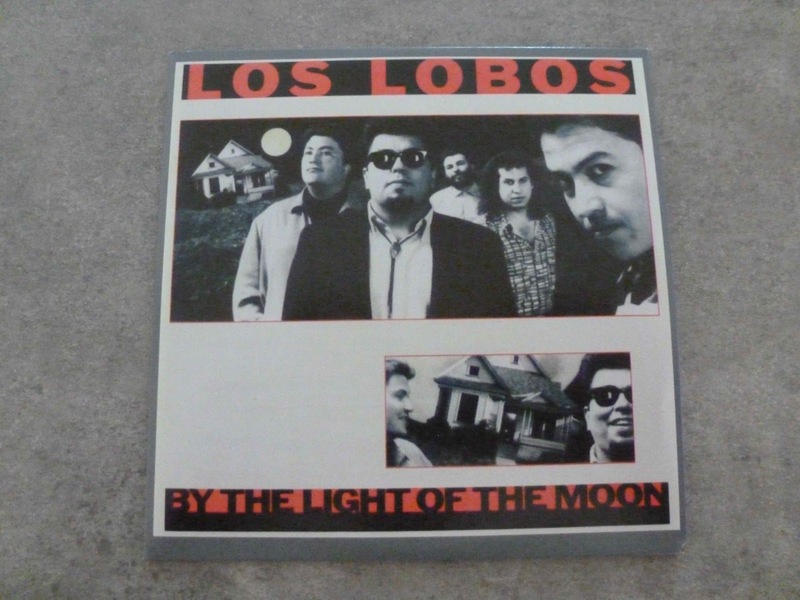 There is, I think, a definite progression in the emerging Los Lobos catalogue. ...And a Time to Dance was, to all intents and purposes, an introduction (obvious, but a point that needs to be made), a dance album that reflected the environment the band had been working to earn their bread and butter. Once they’d hit that wider stage How Will the Wolf Survive? took those elements and fleshed them out with doses of “this is where we’re coming from” (in other words, continuing the theme from the first one) and “this is what we want to say,” exploring the edges of the social issues and harsh realities of life in the Hispanic community while maintaining the R&B-flavoured rock framework. By the Light of the Moon takes that a step further, introducing a contemplative side that delivers light and shade to the mix as they head towards more overt social and political comment. In that sort of environment they still need the good time material, and in those circumstances Cesar Rosas’ role is a vital element in the mix. You could point towards this as displaying a “curiously divided soul” but I’m more inclined towards a deliberate intention to leaven the topical exploration of social issues surrounding working-class people who see the notional promise of America passing them by. Those last two tracks may be leaning towards wishing and hoping but there are, after all, circumstances where wishes and hopes, along with a strong dose of faith is all you’ve got.